برنامه فوق العاده Pixelmator بهترین و حرفه ایی ترین برنامه برای ویرایش تصاویر شما در سیستم عامل مک میباشد. The smart Quick Selection tool lets you select even the most challenging areas with a single brushstroke. The new Magnetic Selection tool snaps to the edges you trace, so that you can make detailed selections quickly and precisely. 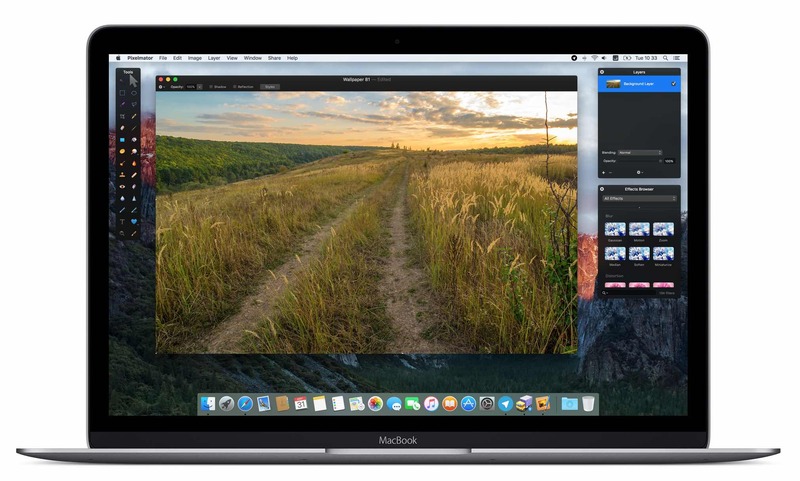 The new Pixelmator Retouch Extension for Photos adds a full set of powerful retouching tools to your Photos app. On OS X 10.11 El Capitan, the totally redesigned Stroke effect is now up to 15 times faster and much smoother. Thanks to the redesigned Stroke effect, resizing a selection with the Refine Selection dialog is also up to 15 times faster (on OS X 10.11 El Capitan). The outlines that you get when using the Color Selection tool, Paint Bucket tool and the Magic Eraser tool are much smoother and more precise (on OS X 10.11 El Capitan). In the Pixelmator Distort Extension, the brush size now auto-adjusts as you zoom in and out of your image, so it always stays the right size. When using the Repair tool, double-clicking the canvas would resize the document window. Fixed. Choosing the Red Eye tool when editing tiny images made the app quit unexpectedly. We fixed that, too. When using the Glass, Vintage, Noise, Rain, Snow, or Sketch effects on layers smaller than the canvas, some pixels at the edges of the layer would be stretched across the empty areas. We fixed this. The preview animation shown in the Bar Swipe effect thumbnail was shown at an angle. Fixed. While transforming a layer with a shadow, small, grey squares would sometimes appear on the canvas. Not anymore. The Column Marquee tool would sometimes make selections that were 1 pixel wider than they were supposed to be. Now they are pixel-perfect. When refining a selection with the Clone Stamp tool selected, parts of the red selection overlay that marks the non-selected area would sometimes disappear. We fixed this. When a text layer was used as an overlay for a clipping mask, converting it into a pixel layer would cause the text to disappear. Fixed. Sometimes, the coordinates of a shape layer could get lost and this would make it impossible to save or open the document. Fixed. Improved stability when opening PSD files with specific Photoshop text features. On OS X 10.9, the Add to iPhoto option was missing from the Share menu. It’s back. On OS X 10.10, when applying Blur effects to layers that don’t fill the entire canvas, some pixels at the edges of the layer would be stretched across the empty areas. Fixed. On Mac computers with a Retina Display, the effect preview, which is shown on your image while a Color Adjustment dialog is open, made the image look slightly blurred. Fixed. On iMac computers with 4K Retina Displays, when painting with a brush-based tool, moving the brush outside the document window made the screen flicker. We fixed this. 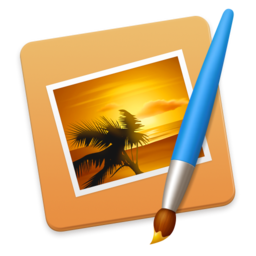 In the Pixelmator Distort extension, clicking the image before choosing a tool would automatically select the Warp tool. It now works as it should.